Just a couple more weeks out until the 4th of July. Whether you are planning on a get together with family and friends or hitting up your local fireworks there is almost always food involved. 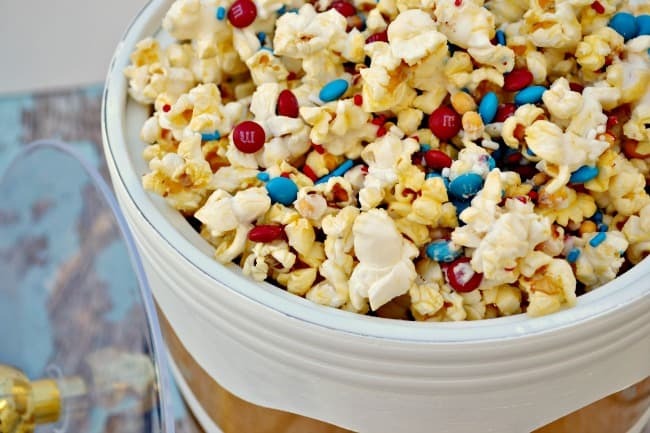 We like to pack a batch of our favorite 4th of July snack, patriotic popcorn. It is just about the easiest snack you can make. 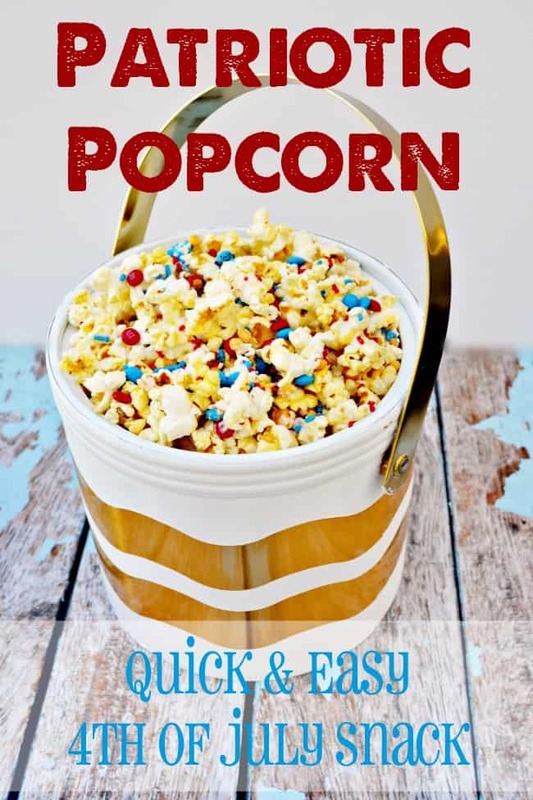 If you love chocolate and popcorn, like me, you will love this yummy snack. It is fun for kids to eat because it’s colorful and well a little messy too. It is also fun for kids to help you make since it is so simple. You can do the chocolate melting and pouring and let the kiddos have fun sprinkling on the candies. Pop your bags of popcorn and spread out on a cookie sheet. Melt your almond bark or white chocolate in a double boiler or microwave, whichever you prefer. 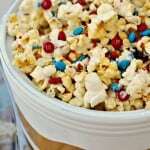 Once the chocolate is melted spread around the popcorn. Sprinkle the mini m&m's and sprinkles/jimmies all over. Allow the chocolate to cool and set up. It gives you just that right amount of sweet and salty taste.